Bearing resemblance to drops of crystallised morning dew, these pretty orbs of bubbled glass can hang together in a mesmerising arrangement or be used on their own. There are 3 sizes of Orb which allow them to be used in numerous combinations or indeed, as an individual. 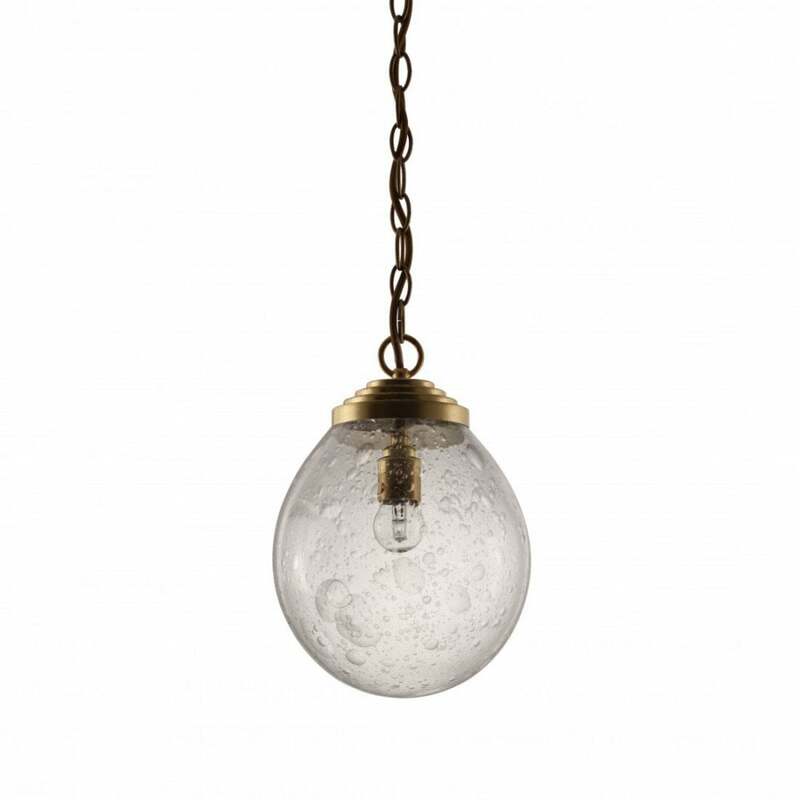 Each handmade piece is created by using a sleeve of clear blown glass which is then dipped in a solution which encourages the bubbles to form, this then has another layer of clear molten glass applied which encapsulates the bubbles and gives the pieces their high lustre feel. Available in small, medium and large in Bright Gold and Bright Silver.